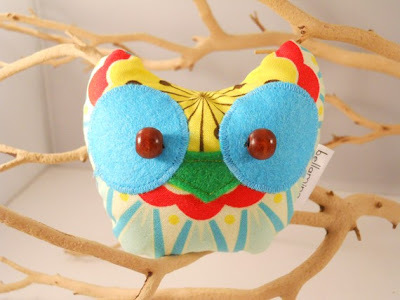 Lu Bird Baby: Bellamina Giveaway!! so when I came across Bellamina's etsy shop I fell in love. she makes them using awesome fabric combinations. "My name is Karen and I am a mom to a beautiful one year old baby girl named Mina. Since I can remember I have always loved arts and crafts. When Mina came along and I wanted to decorate her room, I realized that I had lots of ideas to make her room friendly and warm and in short an experience that would prompt her to be active and alert. I also love owls (and birds and animals in general...) and I enjoy creating them, and giving them different forms and colors." I don't know about you but I sure am glad Mina came around and Bellamina was born. 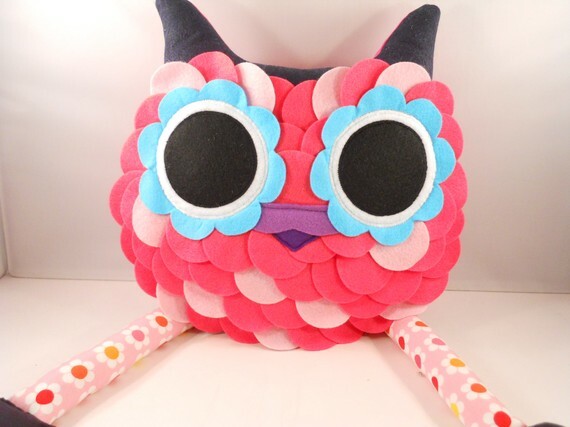 Just look at some of the adorable things in Karen's shop. 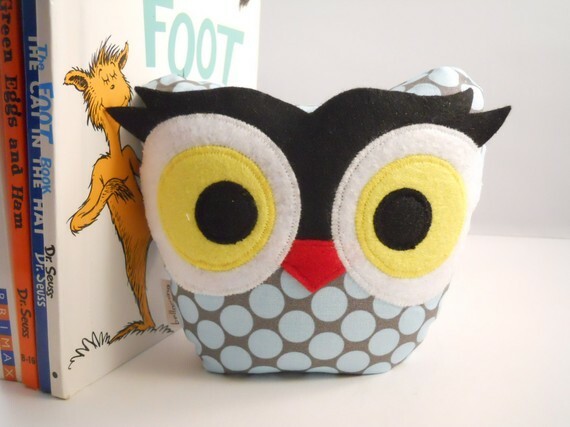 I don't know what little boy (or girl) wouldn't want this owl for a friend. Love the ruffles on the belly! How about one of these little birdie doorstops or paper weights instead? I think every kids room could use one of these bookends. Heck, my bookshelf could use one of these bookends. They don't have to be just for kids. 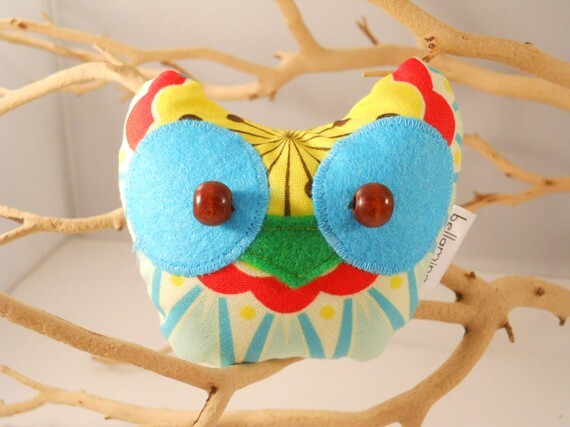 Karen even has tiny owl magnets that would make great party favors. Ah, so much cuteness I can hardly stand it! 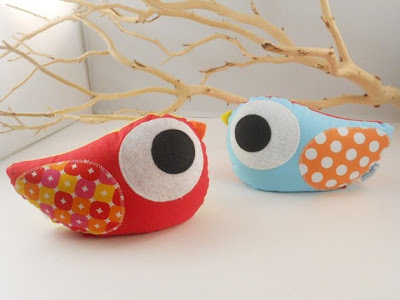 adorable birdie doorstops or paper weights! The winner can choose either the blue or the red one. 1. Visit the Bellamina etsy shop. 6. Tell us your Valentine's Day plans. 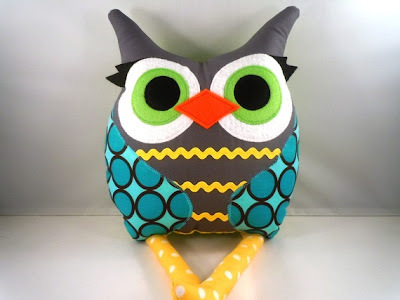 I love the hoot hoot owl pillow! Presh!! I love the .bellamina's owl pillow! No plans for Valentine's Day! OUR birthday is 5 days later, so we never do anything for v-day. Oh and I follow your blog too! and the hubs and i are going to dinner and a concert this weekend! i LOVE LOVE LOVE bellamina's owl bookend / doorstop / paperweight designer fabric. so cute. We are VERY low key this Vday. Dinner and wine at home and a smooshy romantic comedy after the our daughter hits the sack. your blog is on my blog reel on my own blog...read it everyday! So excited about your new baby! This shop is crazy cute! I love the "love bird"! Such a cute shop! I'd have to choose one of the owl pillows but how would I choose which one??? We're sharing our Valentine's date with some of our best friends this year. Leaving the kids at home and the 4 adults are going out of town for a nice dinner. I love them all!!! The argyle one you posted is adorable and I also love the one made out of SH farmer's market fabric! No plans for V Day...The hubby works all weekend so it is just me and Reese. I love all the owl pillows. I think the grey is my favorite. i like the hoot hoot bellamina's pillow owl! thanks! my birthday is actually on val- day!! so i will be going out to dinner!! I follow your blog. No plans for V. Day, just dinner @ home with hubby. I really like the Bellamina's Owl Pillow made with the sweet owl fabric. Very cute! Thanks for the great giveaways! i like the hoot hoot bellamina's owl pillow. 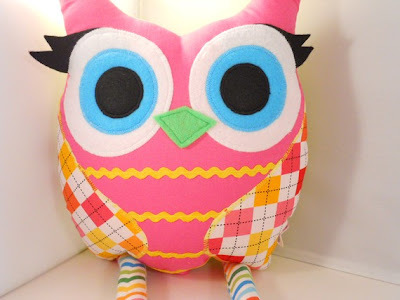 I love the pink bellamina's owl pillow with blue eyes! I <3 bellamina's spring delight hair clips! Well, any of the hair clips really. They are so incredibly cute! I want them all! my valentine's day plans have kind of become pre-valentine's week plans. my husband and i have been making a fabric flower heart wreath together for fun (tutorial at http://sewmuchado.blogspot.com/2010/01/tutorial-fabric-flower-valentine-wreath.html) then on monday i'm going to bake him a cherry pie. his favorite! yay for crafts! I love all the bookends - SO cute! No plans for Valentine's Day. We don't really celebrate it much. The kids made cards for Daddy, but that's it. 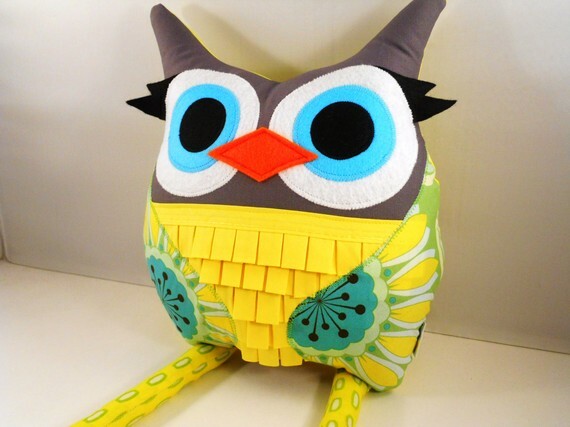 I LOVE the "bellamina's owl pillow newest addition to the owl family" !! Adorable !! I am your NEWEST "follower" on twitter !! 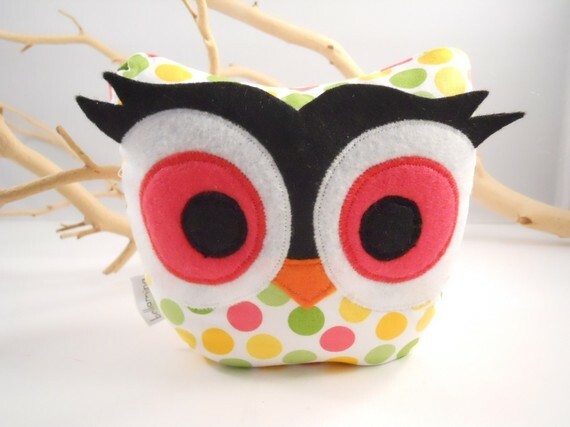 Thanks for the chance to win an adorable owl ! I retweeted your post about the owl give away !! Valentine's Evening plans started with a fun little treat left in hubby's lunch box to get the mood right. Tonight will include a warm meal at home and then a little personalized Bingo game with interesting options for the winner ! I LOVE my husband and like to let him know how special he is ! I love the bookend! cute! I love the owls... Any really, I love owls too!